Although the British economy is still in the doldrums, it doesn’t stop some premium properties being developed and improved. 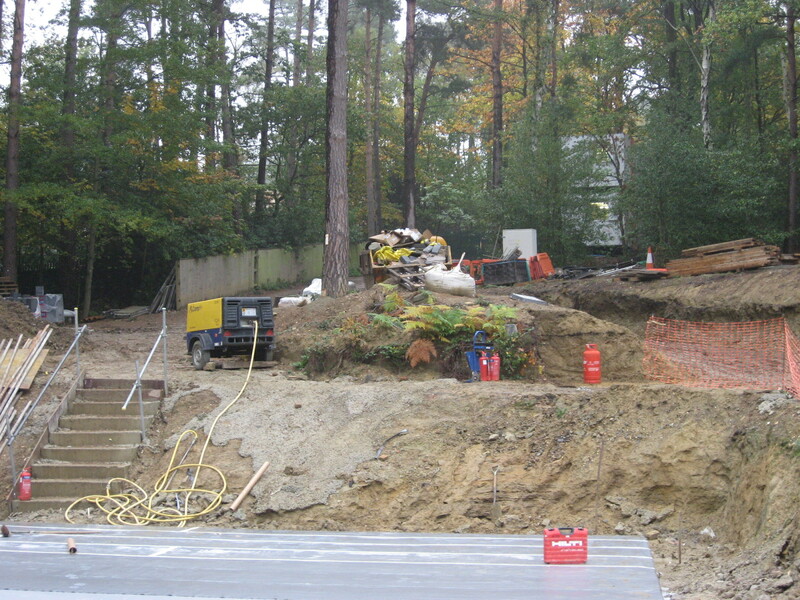 We finished a very busy 2012 in which we completed some very exciting projects in Hertfordshire, Surrey and Hampshire including a very high spec. garden in partnership with BTU Pool Builders. This project included an extremely high spec pool; a new gym complex and two entertainment areas as well as the entire garden being designed, constructed and replanted all on time and to budget . The design included a rock structure which involved lifting several very large rocks into place. Our motto of ‘where there is a design there is a way’ proved true. 2013 has kicked off well, we have secured three new projects which are very exciting, especially this early in the year. A four acre garden on the Wentworth estate overlooks the famous golf course. 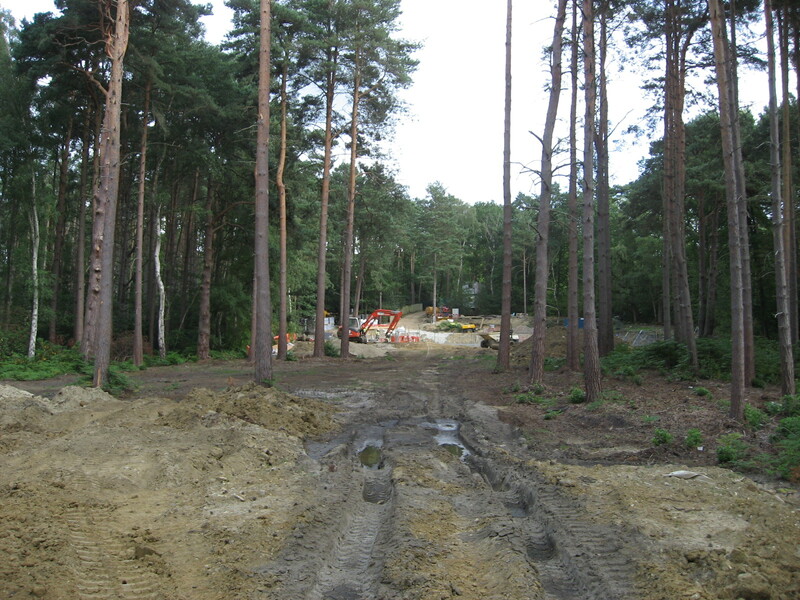 The house is set amongst a dense pine wood which is set to get denser with more than 100 more trees planned for the site. The design is a mixture of classic formal gardens and natural woodland planting. Water plays a significant role on the finish garden with fountains, cascades and ponds playing their part in the overall effect. I’m not saying the incline into the garden won’t be a challenge! 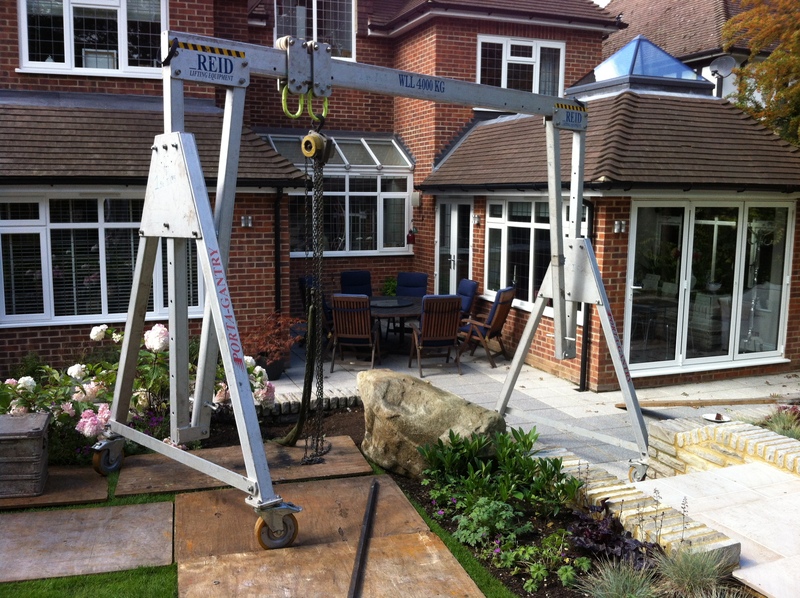 The second project is a complete redesign of an existing one and a half acre garden in Guildford. 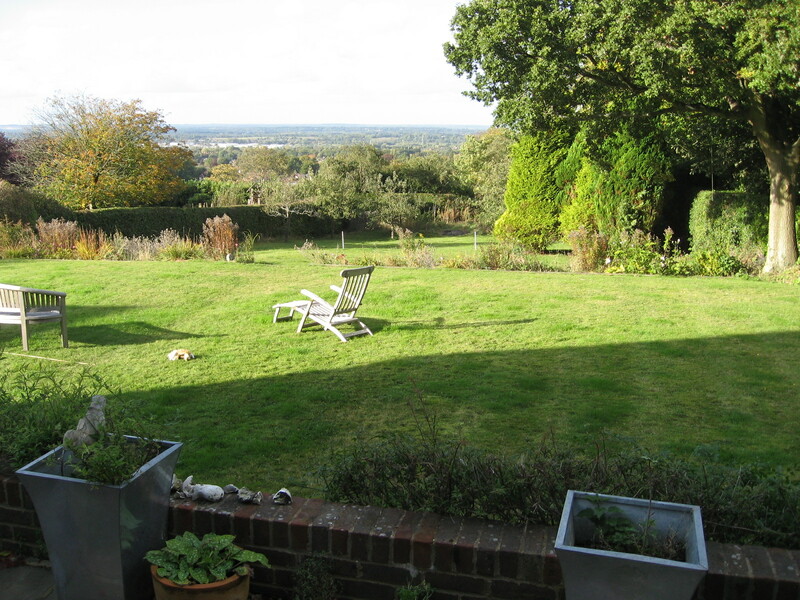 The greatest attribute the current garden has is the amazing view over Guildford towards London. This garden drops 6 metres from the house and the design will introduce several entertainment and seating areas to enable the owners to enjoy the view. A water feature; wildflowers and natural sculptures will add to the interest in the final design, scheduled to be completed by the summer. 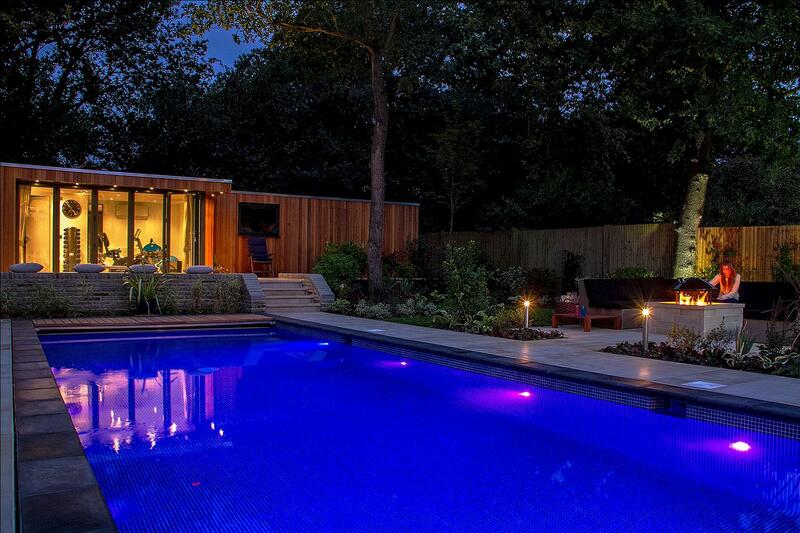 The third project covers an area of 14 acres outside Cobham. and will include a swimming pool; tennis courts and an equestrian centre when it is finished. 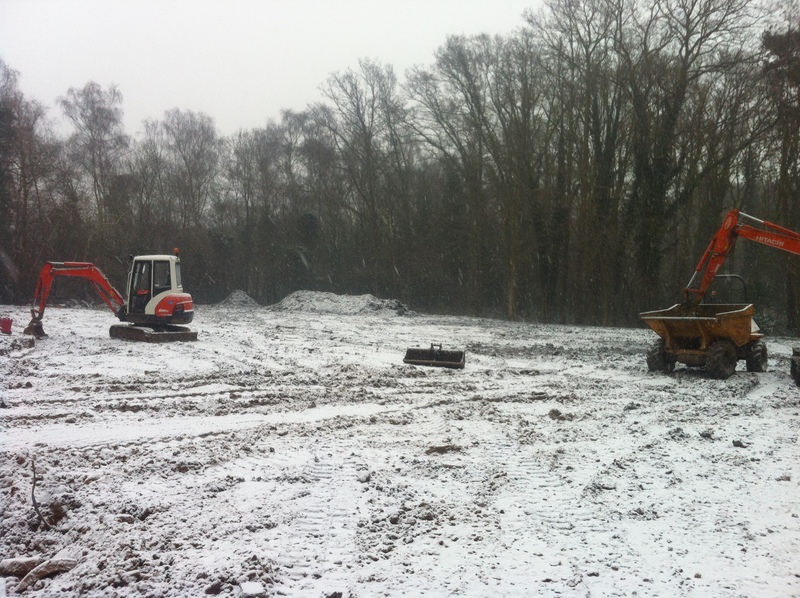 The snow isn’t an obstacle to the large digging equipment we require to start to sculpt the garden. The unique very modern design of the property will be reflected in the areas of the garden closest to the house where the woodland and natural surroundings will be used to create the wider vistas around the property. Looks like it is going to be a good year!